I started Joy Machine to make games the way I seem them their best: dynamic, interactive, evolutionary, surprising, and challenging players just enough. Joy Machine’s first game was Steel Hunters. 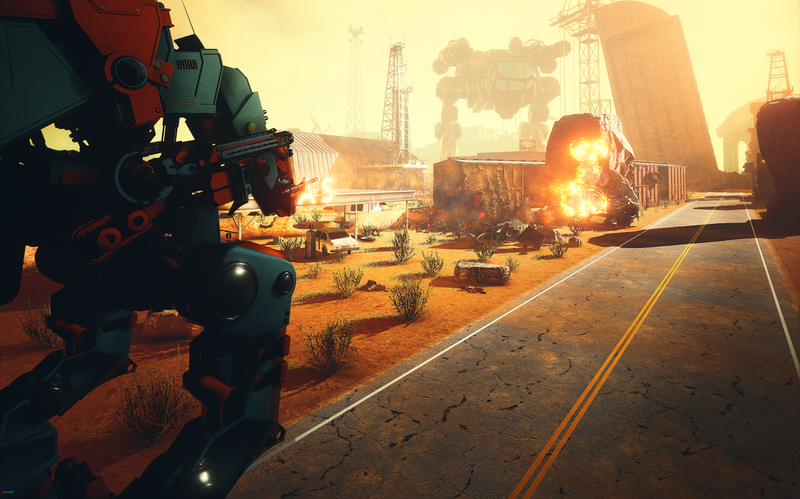 Despite being put on an indefinite hold in September 2018, the work I did on Steel Hunters over the two years of its development (alongside contracting) was both the best and most challenging work I’ve done. It required me to bring everything I’ve done over my career together, create a holistic design, and execute on that design. I do not advise, however, past Trent’s idea to “start a game studio with no money”. I have characterized the work on Steel Hunters as: getting six years of experience over the course of two years. Everything in Steel Hunters — aside from third-party textures and meshes — was done by me. Summary: I learned a lot from research and way more from putting it to practice in content, art pipeline, gameplay code, complex physics and collision detection/response (custom player controller), engine/rendering work, and so on. The most fundamental code-side work — both project-side and Unreal Engine 4-side — was lovingly branded the “Joy Engine”. The design for the game, however, was what always kept me going. I have this thing for Systems Design (best summarized in an article I wrote for VentureBeat), and this was where I got to combine my years of experience with all those years spent writing about and researching game and systems design in ways I never was able to put into practice. The result was a focus customization for players to define their own style of play within a game world driven by flexible game systems all built to respond to each other in physically-consistent ways; my go-to example being the grass that catches on fire, spreads due to heavy winds, eventually reaching an ammunition crate and the fireworks created by the ignition of piles after piles of bullets. Long-story short: the gameplay goals led to the design and development of what I [very unoriginally] called the “Simulation Core”: a project-independent backend to facilitate the creation of robust, flexible systems in a game/simulation. Basically: architecture to encourage systems-based project development at a design and implementation level to help ensure consistent behavior with common workflow for designers (in and out of game). Anyway. That was a neat thing. Like everyone else in the game industry, I then worked at an edu-tech company called planet3. The goal was to create a multimedia educational curriculum “replacement” (meeting all the necessary standards of existing cirriculum? I only studied being a teacher not actually being one, so the specifics are lost on me). Our approach combined a variety of “interactives” (graphs/diagrams/simple simulations that can be manipulated), “videos” (they’re like moving pixels with audio), and then the “immersive” component: the game part. I started as Sr. Technical Designer and then ended up as Lead Experience Developer (heading up our component’s development). Worked on a comprehensive renderering feature set (in Unity) and small touches to overhaul our graphical capabilities even on low-end systems. Prepared our client to run in WebGL 1.0 on Chromebooks. Worked extensively with third-party vendors to ensure good practice and quality deliveries, as well as general support as-needed. Managed the entire Unity development team as we worked towards various milestones leading up to a pilot program launch in Nevada, and the steps to follow. — The planet3 Multimedia Education Platform. I was brought in as a consultant on Crowfall initially. This turned into a contract role as a sort of Senior VFX Artist. Overall, my goal was to help define the look-and-feel of VFX in Crowfall while establishing a workflow that worked best for the team. I started by proposing PopcornFX the VFX creation environment. I created a handful of effects to highlight its versatility, showed the art director and VFX artist the workflow involved in creating effects, and ultimately that was what we decided on. And then I made a whole suite of effects for each of the class archetypes in the game (at the time) covering as many use-cases as I could conceive. I also worked with the development team on integrating PopcornFX into their codebase. Once the integration was complete and we had a solid base of effects (a few months' worth), I was asked to stay on as a Technical Artist for a while to provide an efficient set of standard shaders to help the team further realize their unique, stylized style while adhering to Physically Based Rendering principles and standards. I also created some generally-useful shaders and post-processing effects: atmospherics with light shafts, a couple solutions for ambient occlusion (SSAO and HBAO), and enhancements to the existing bloom effect that was in place. As the preceding list may indicate (starting from the bottom — my initial role): I had a whole lot of roles at Team Chaos (partially due to my occasional involvement with its sister company, Chaotic Moon). 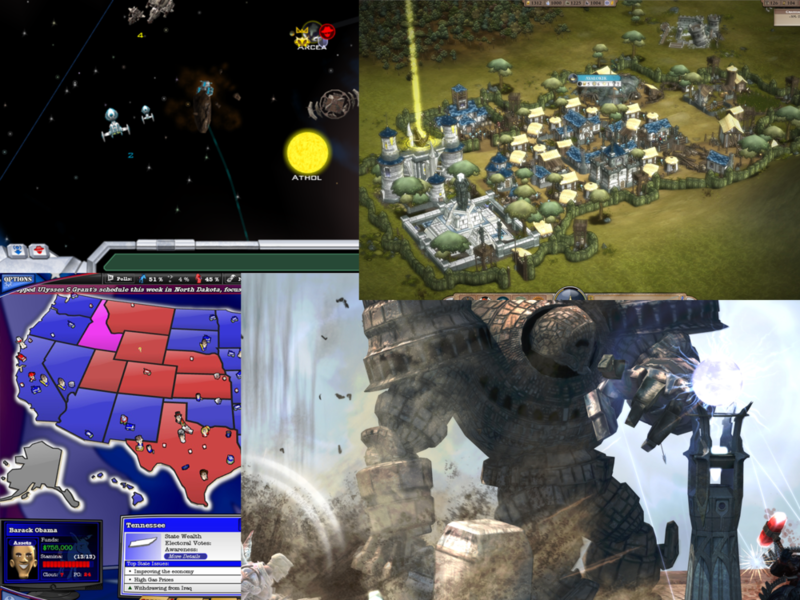 I worked on a whole bunch of games, some of which were side-projects I developed on the side (published by Team Chaos), and I worked in a variety of different capacities. Which included doing voice acting and PR. Somehow. Creator and director for Rooster Teeth vs. Zombiens. Also pitching it to both Rooster Teeth and Team Chaos. Creative director for all internal projects. Project planning and task management internally (with high-level planning and management directions on external projects). System, gameplay, and level design. Sole writer for all projects (only Rooster Teeth vs. Zombiens, Elements, and Loot Raiders were text-heavy). Project pitches for interested third-parties. Voice acting (anything that wasn't human). VO recording session direction with the Rooster Teeth cast (this was a blast). — I Dig It: Journey to the Core. Entering as a Game Designer rather than a programmer, I started early on Starhawk (PS3) working on project-wide design and prototype mission/level design and scripting. As a Sr. Game Designer (mid-project), I worked on missions (general design, level design, and scripting), cutscenes, and misc. 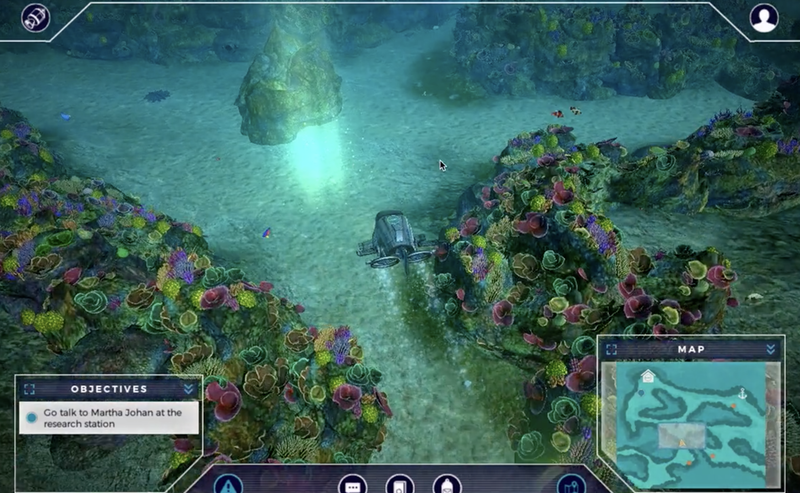 gameplay/systems prototypes. Also: a long list of other things. After Starhawk's release, I moved on to our next project (peripherally overseeing Starhawk's expansions): an untitled space multiplayer shooter for the PlayStation 4 (then known as Orbis). I did high-level design work and assistance on the primary tech/engine game PS4 prototype. Primarily, I co-developed a more fully-featured game prototype in Unity with Starhawk's lead designer (to complement the PS4 prototype). Due to that cancelation, the studio downsized to eight people, and I became co-lead designer and was a primary developer on the prototype for the mobile game PlunderNauts, published by Backflip Studios. — Untitled Space Multiplayer Shooter Prototype (PS4/Orbis). My first professional job out of college involved gameplay, graphics, and engine development across a variety of projects. I worked primarily as a gameplay developer and graphics/engine programmer — tackling the joys of DirectX 7, early-HLSL, and the Win32 API daily with my beloved C++. I transitioned the internal engine over to a more API-agnostic structure, did a variety of rendering work across our two primary internal projects (at the time), and gameplay development and prototyping. I also did extensive design and development work on two our primary project’s largest tools that were intended to be player-facing game features, in addition to their internal usage. In addition to development, I became increasingly involved in both internal design work and a consulting designer on external projects. At the time, I don’t think I actually knew what a “game designer” was or what they did, so any sort of design-focused task I could find was just the best. Eventually, due largely to Clint Hocking’s and Patrick Redding’s work on Far Cry 2, I realized: hey, I want to be a game designer. Hence: the focus of my career since mid-2009. — Galactic Civilization 2: Twilight of the Arnor. — The Political Machine 2008. — Sins of a Solar Empire. — Elemental: War of Magic (Early Development).